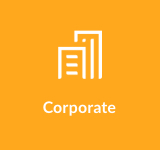 Looking to learn more about what we hire and key business lanes? You’ve come to the right place. Our Corporate Office teams share the same vision as our field teams do, “To Become the Greatest Healthcare Community the World Has Ever Seen!” Even though they may not directly interact with patients, they know they still have an impact on our patients’ quality of life. A community produces what it honors most. As a leader, you would be a local example of our culture, mission, vision and core values to teammates. 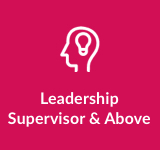 As a leader, we have both clinical and non-clinical leadership roles in our corporate offices and out in the field. Our Patient Care Technicians (PCT) work closely with our patients to ensure quality care. As a PCT, your role is mainly to work with patients alongside nurses to assist patients on dialysis. 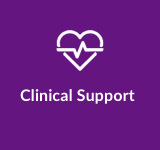 Click Here to learn more out the Patient Care Technician role. 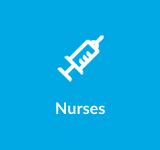 As a registered nurse, you can be proud to offer cutting-edge care that makes DaVita a leader in clinical outcomes. Click Here to visit our RN page. Click Here ​​​​​​​ to visit our Laboratory page. Click Here to visit our Pharmacy page. DaVita aims to improve patients' total health and quality of life. 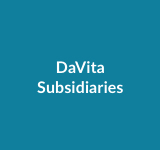 DaVita Kidney Care has a few subsidiary businesses to help advance our integrated care model.